JOHANNESBURG: South African tourism service excellence was the biggest winner on Sunday 29 October 2017, when the fifth annual Lilizela Tourism Awards lit up the Sandton Convention Centre with an unforgettable night of the stars. A cross-section of outstanding South African tourism accommodation establishments, visitor experiences, tour operators, tour guides, emerging entrepreneurs and small businesses were toasted alongside several industry luminaries during a splendid awards ceremony that saw performances by the likes of Yvonne Chaka and Mafikizolo. The who’s who of the hospitality and travel industry came out to salute service excellence in South Africa’s burgeoning tourism sector, which has been identified by the government as one of the six pillars of the country’s future economic growth. Media personalities Masechaba Ndlovu and Thapelo Mokoena were programme directors for the evening. The national Lilizela Tourism Awards were the culmination of the nine provincial ceremonies held across the country, which rewarded outstanding establishments in each of those areas. These provincial winners then vied for top honours in the national finals, held on Sunday. Tourism Minister, Tokozile Xasa paid special tribute to South Africa’s outstanding small tourism businesses. Some of the SMMEs that were finalists or scooped awards on the night had been beneficiaries of the National Department of Tourism’s market access and enterprise development programmes. In addition to the awards handed out in a number of categories, Minister Xasa also announced an unprecedented multiple recipients of this year’s Minister’s Award to mark the five-year anniversary of the Lilizela Tourism Awards. 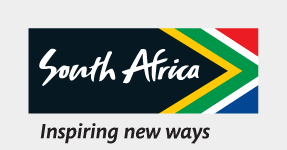 This prestigious award recognises proudly South African organisations or individuals who, through sheer dedication and passion, have excelled in positioning the country as a tourism destination of choice, contributing to the vibrancy and growth of the sector. Ms Sheila Sekhitla owner of The View Guest House. Ms Lily Mokoena owner of the Gaabo Motho Cultural Village. Ms Lolo Monica Mabitsela owner of Mama Lolo’s Breakfast. Ms Siza Mzimela an aviation expert with over twenty years of industry experience. And the Late Ms Sindiswa Nhlumayo who was honoured post humously for her immense contribution to the tourism industry. Minister Xasa also unveiled a new public participation category for the Lilizela Tourism Award 2018, the “We Do Tourism Award” where, in the spirit of asking South Africans to rally around tourism as a catalyst for inclusive economic growth, South Africans from all walks of life will have the opportunity to nominate dynamic individuals who they believe deserve to be recognised for contributing to making South Africa more welcoming. A very special moment came at the end of the evening, when Minister Xasa inducted Esther Mahlangu, South Africa’s world-renowned Ndebele artist and industrial design trailblazer, into the Lilizela Hall of Fame. Mam’ Esther, who received the Minister’s Award last year, became the inaugural Hall of Fame inductee for being an exemplary global ambassador for South Africa’s indigenous arts and cultural heritage. South African Tourism’s Chief Executive Officer, Sisa Ntshona, noted that it had not been an easy year for tourism, with natural disasters, a sluggish economy and other factors making the operating environment a difficult one to navigate. Entry to the Lilizela National Tourism Awards is free and tourism businesses of all sizes are encouraged to enter in a bid to help develop, grow and transform the industry while celebrating its achievements. For a full list of the 2017 Lilizela Tourism Award winners, visit www.lilizela.co.za. To receive regular updates, like the Lilizela Tourism Awards Facebook page or follow @Lilizela_Awards on Twitter.